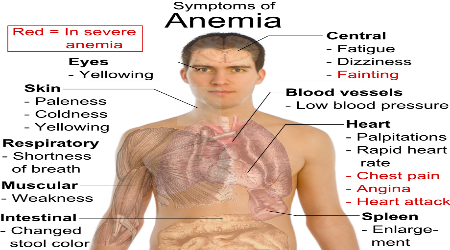 Facts about iron deficiency anemia: a dreading micronutrient deficiency Iron deficiency anemia is a condition of the body when the hemoglobin level which is the red coloring of the blood, is below normal level. This happens when almost all the stored iron or ferritin has already been used up because of lack of iron intake from foods or iron SUPPLEMENTS. What is iron? 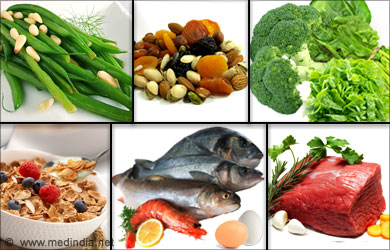 Iron is a very important nutrient needed in the formation of hemoglobin in the red blood cells. Of the 3-5 grams of iron present in the body, more than half of it is present in hemoglobin and the rest is stored in the liver, spleen, bone marrow and muscles. What is hemoglobin? Hemoglobin gives the red color of the blood. It transports oxygen to the different parts of the body. Oxygen is needed in the production of energy needed to do work. What is iron deficiency (ID)? Iron deficiency is a condition of the body when the iron stores in the liver (called ferritin) is below normal level (which is < 20 micrograms per liter of blood). What is ferritin? Ferritin is the form of iron deposited in the liver whenever there is an excess amount of iron taken in from foods and/or iron tablets/syrup. This iron store can be used by the body to maintain the normal level of hemoglobin. What is iron deficiency anemia (IDA)? Iron deficiency anemia is a condition of the body when the hemoglobin level, the red coloring of the blood is below normal level which is < 120 grams per liter of blood. This happens when almost all the stored iron (ferritin) has already been used up because of lack of iron intake from foods or iron supplements. How do you know that a person is suffering from IDA? Who are the most affected groups that could suffer from IDA? What will happen if a person is suffering from IDA?